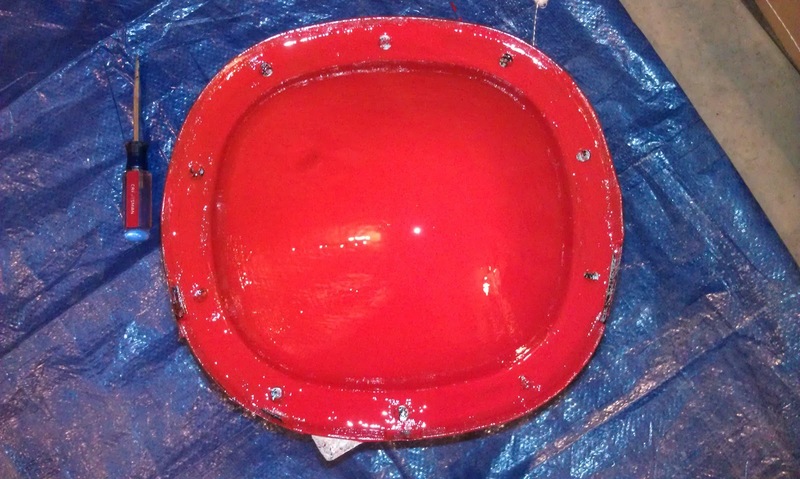 I am going to paint the differential cover with the red caliper paint I bought. 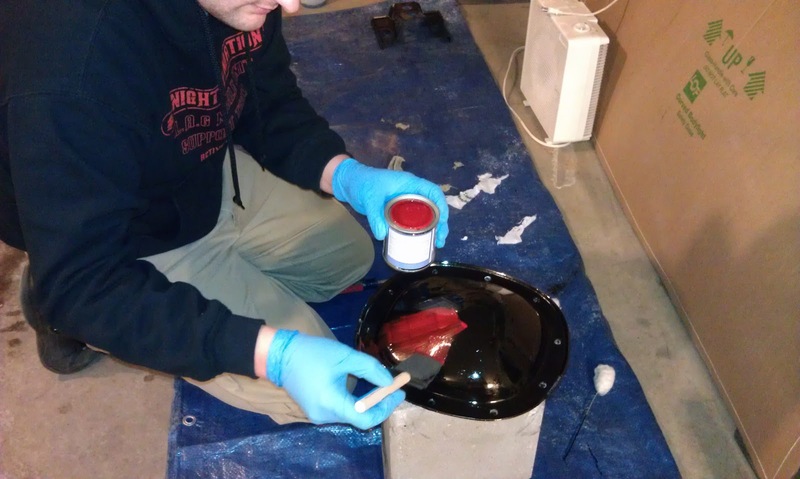 The caliper paint requires the first coat to be POR-15. 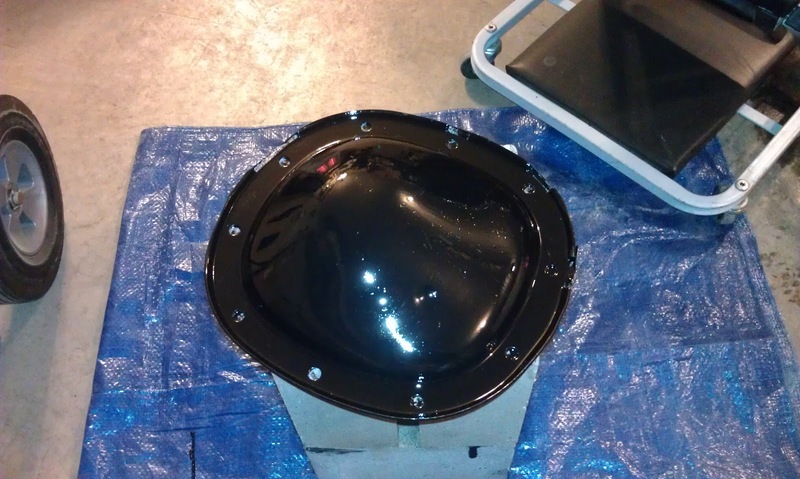 Sara painted the black POR-15 on the differential cover. 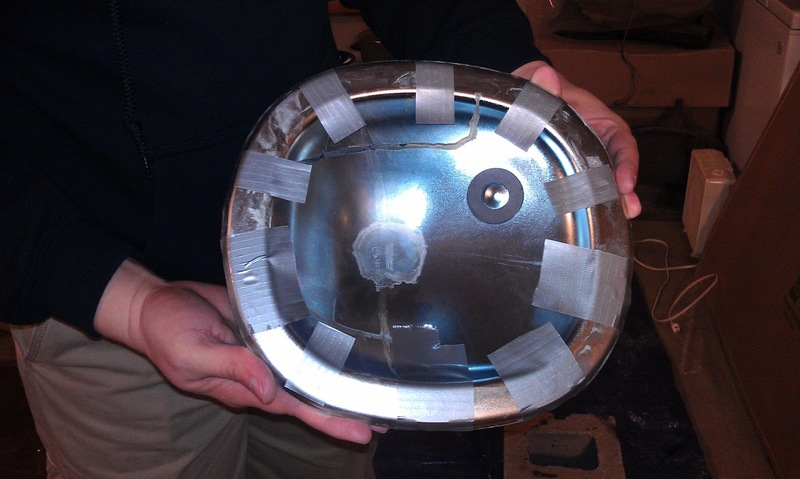 Here is the differential cover with a coat of POR-15. 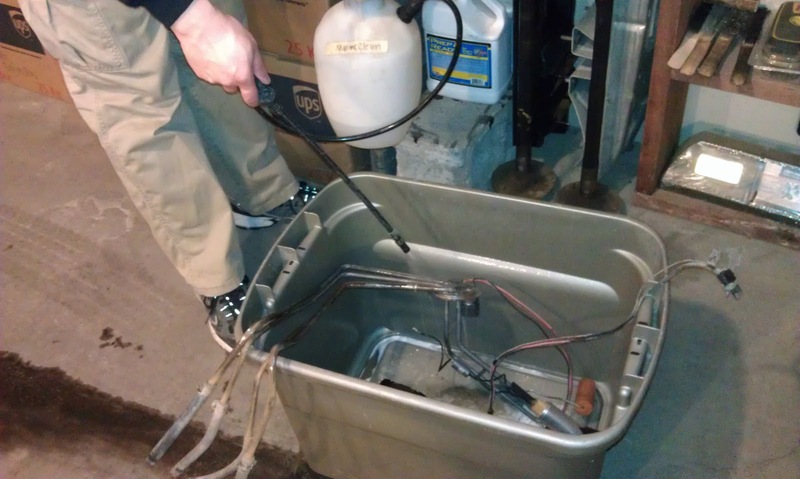 The fuel sending unit used in the 1983 Trans Ams is unique. I cannot get a replacement so I have to clean the rust off the outside of these lines and apply POR-15 to keep it from rusting again in the future. 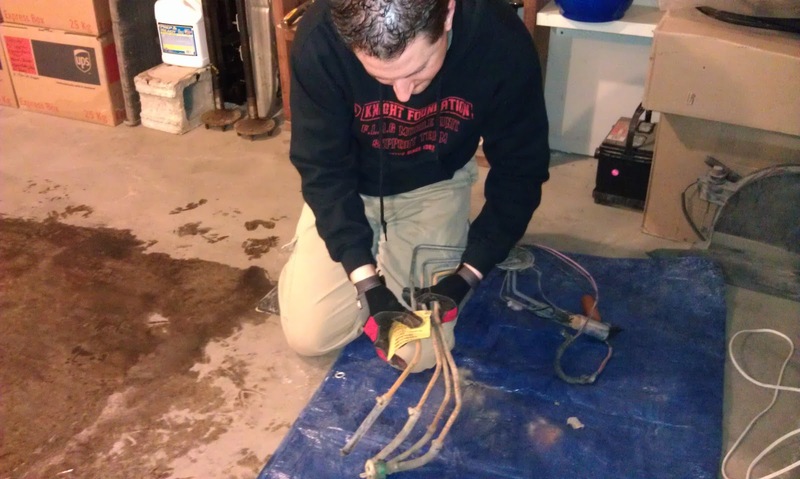 The rest of my fuel lines are going to be stainless steel. 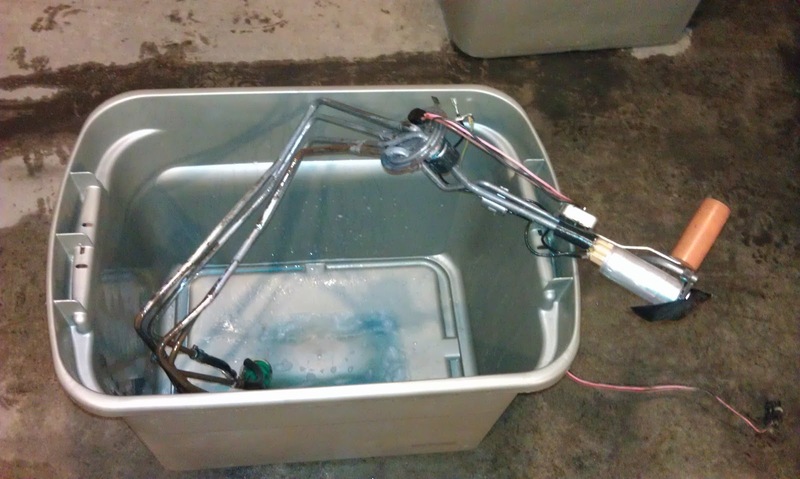 All of the components for the inside of the tank will be replaced with new parts. 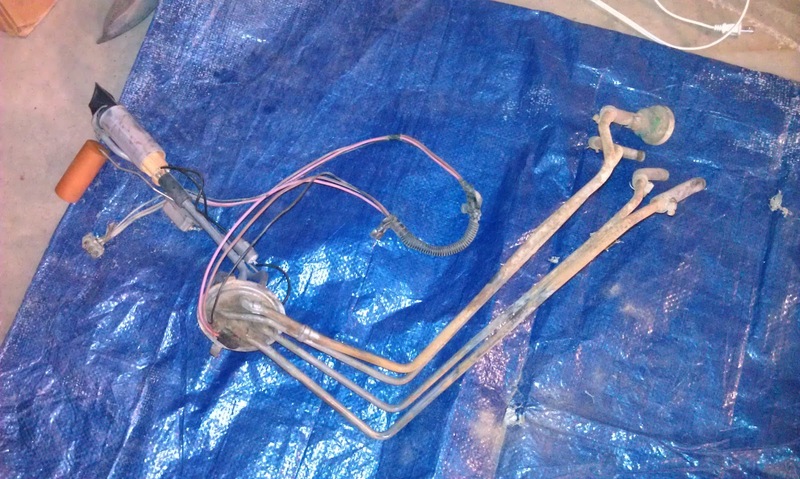 I started by sanding the rust off the fuel lines with sandpaper and steel wool. 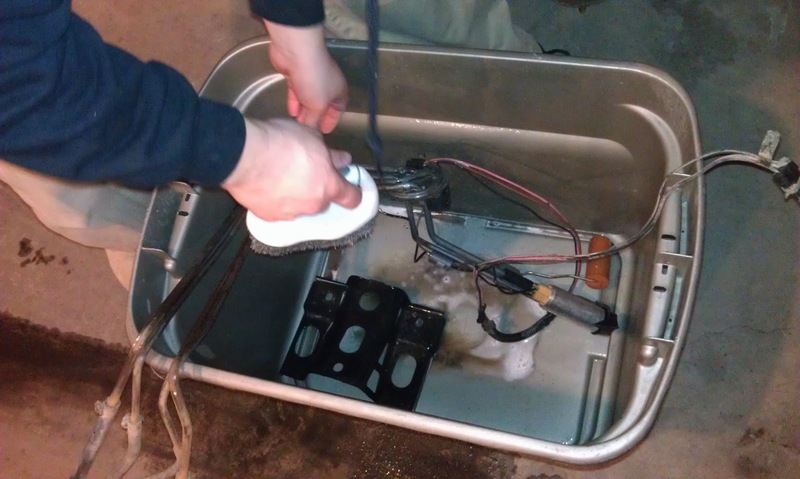 Next I cleaned and scrubbed the unit with MarineClean. I sprayed Prep and Ready on the external portion of the fueling sending unit and let it sit for thirty minutes. Then I rinsed it with hot water. I am letting it dry overnight. 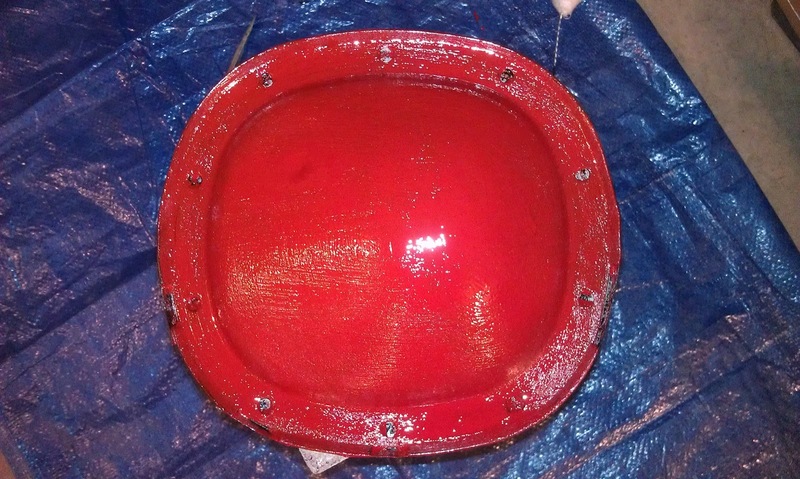 Once the POR-15 was dry to the touch I painted my first coat of red caliper paint on the differential cover. 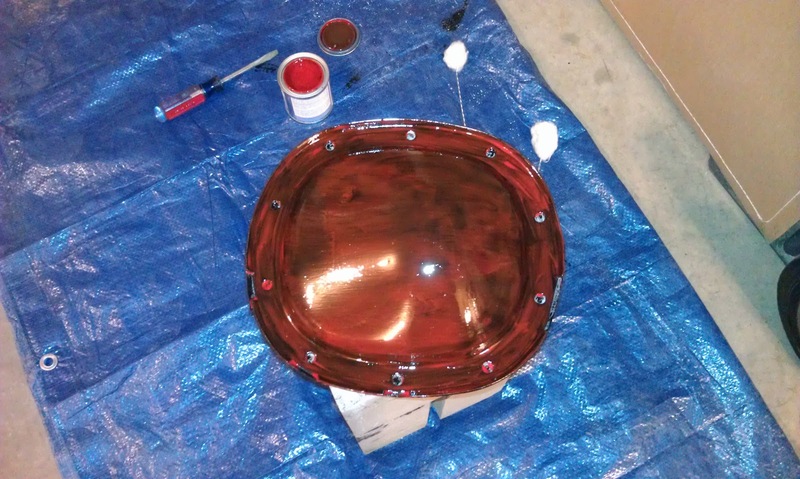 This is supposed to have a ceramic finish once it has two coats. 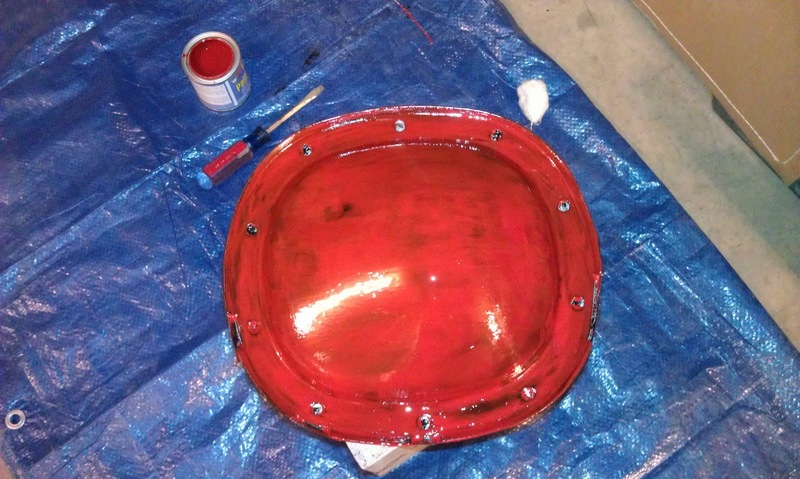 This is the differential cover with two coats of paint. The instructions call for two coats and the kit online comes with foam brushes, so I put two coats of paint on with a foam brush. I am not happy with the coverage after two coats, so I am letting it dry and then I am going to apply a third coat of paint with a regular brush. 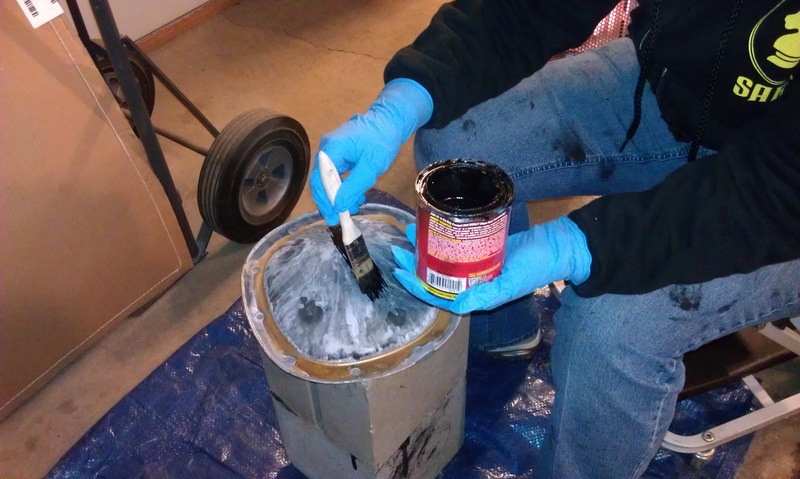 I am wondering if the paint looks this way because the differential cover is so smooth. I am hoping it looks better after three coats. I applied the third coat with a brush as planned, but the brush strokes were very evident. It coated much better although I am not sure that this was the result of using a brush or the fact that it was the third application. I could see right away that the brush strokes were going to ruin the look of the finish, so I went back over the whole thing with the foam brush and smoothed it out. At this point I am thinking it will still need another coat to make the finish uniform, but as of 10:00 tonight it was not dry enough yet. I will have to continue this tomorrow.